My life is often dominated by lonely activities. Every weekday morning, I go to an office where I am by myself most of the day. When I go home, I often spend my time writing and editing alone. I eat alone and watch Netflix or Hulu to unwind. For fun, I play videogames, usually alone. There are, of course, plenty of exceptions. In fact, I make it a point to spend time with friends as much as possible, at bars, at the movies, at church and at restaurants. When I work and indulge in my own personal hobbies, I’m usually doing so at the expense of camaraderie. The feeling of belonging vanishes, which is why so many of my games writer friends and I cling so tightly to Twitter; it’s the only way to share the experiences of writing, reading and playing games. Those are three things we all do regularly that are, for the most part, solitary. We are, we writers, we gamers, we friends who live across the world but together on the Internet, like ships in the night. I’m not unaware of the scores of multiplayer videogames that are out there. In the days of Steam and Xbox Live, online multiplayer is a regularly touted feature of some of the most popular AAA games – yet their multiplayer offerings often get little love. The latest installments of Assassin’s Creed had a truly unique multiplayer offering, but very few bought in for the long term. The Call of Duty franchise splinters its multiplayer base every six months. Asynchronous iPhone multiplayer is convenient for everyone but can also feel detached and meaningless, like taking turns pushing a rock uphill. There has emerged a pattern of convincing one or two of my friends to buy the multiplayer game of the particular month, insisting that we will play it enough for it to be worth it and then slowly realizing that there’s way too much out there to do and play instead. We are, we writers, we gamers, we friends who live across the world but together on the Internet, like ships in the night. What we need is a lighthouse. When the Halo franchise was passed on from Bungie to 343 Industries, it was hard to imagine the point. Why not just create something new, imaginative, and bold to lead us into the next generation? Why labor under the already tired and overwrought story of Master Chief and like, the universe and stuff? The reason is because Halo is that lighthouse. 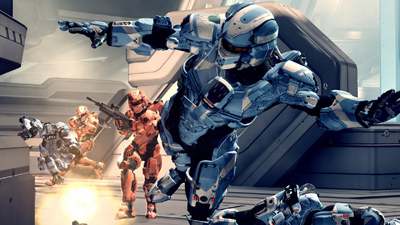 It’s the one multiplayer game that everyone seems to play – even those who hate Halo. I count myself as one of those people. I bought Halo 3 because everyone else had it, but the game itself didn’t intrigue me. Still, I carried on for the sake of a few souls out there who lived far away from me and owned the game. I wanted to spend time with them and, slowly, I learned to love the game, not because of its mechanics but because of its characters. The characters are your friends. It’s like Cheers, where everybody knows your gamertag, except that the beer is optional. Your regular Halo-group is like an extended family, a solid network of established relationships that suddenly found a reason to convene under one “roof”. Sometimes extended family drops in: the crazy racist uncle who everyone’s embarrassed by, or the cousin who rarely shows up except for when he’s bored. We tolerate those. Sometimes we kick them out and talk about them behind their backs. The people I’ve known from social networks and web sites for years are the ones for whom I play this game now. It’s a crew of about seven or eight who started calling themselves “HaloSibs” (morphed to be more gender inclusive than HaloBros) and started organizing regular games of Halo 4. The games are constant, regular, and within reach of a number of acquaintances. Those three traits meant that finally there was an opportunity to band together again. When we are so enamored by the different ways games are evolving and the many ways games can impact the player through a single-player experience, it’s easy to forget just how dynamic, engaging and life-altering a solid multiplayer experience can be, even over the Internet. It’s not that it changes your life in a holistic sense, but in a gradual sense, having my HaloSibs to go back to makes me feel better about that inherent loneliness that comes with being a person who regularly plays videogames and writes about them. It’s about expectation: picking up a game controller in the living room of an empty one-bedroom apartment and ending up having a night of genuine camaraderie and group-oriented play. Look, I’m not naïve. I know that it wasn’t that meaningful; but it paves the way to something that is. 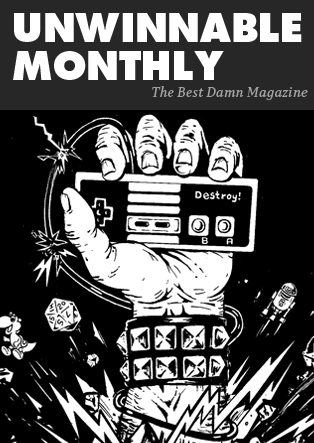 And in the moment, it’s a heck of a lot better than playing alone, with a forgotten drink on the coffee table, determined to beat the next level of some single-player game, for whatever reason I’ve convinced myself it matters. Richard Clark wonders daily on Twitter @DeadYetLiving what Master Chief would look like with a cardigan over his armor. In case he gets chilly, you know?